Are you searching for a reliable pre-owned crossover vehicle that offers excellent fuel economy? Do value used vehicles that still offer some of the best technology and interior features? If so, then there are a few great options for you to explore in the Edmonton, AB area! 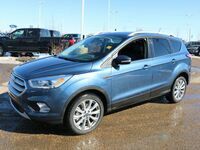 One of the better options available in Edmonton is the Ford Escape. 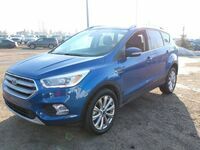 Customers can find an excellent inventory of pre-owned Ford Escape models at Go Auto Express. The Ford Escape has been on the market for nearly two decades and has undergone several different changes over the years. 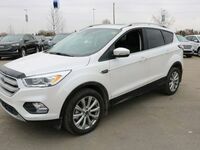 However, the vast majority of pre-owned Ford Escape models available in the area are from the crossover’s third generation, which was introduced with the 2013 model year. If you are interested in learning more about older Escape models, then you should contact our staff at Go Auto Express for additional information. 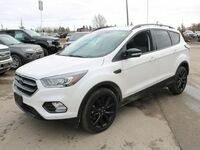 If you are interested in exploring the excellent inventory of pre-owned Ford Escape models we have available at Go Auto Express, feel free to contact our team to schedule a test drive with us today! Our team can answer any of the questions about our inventory of used Escape models that you have. Visit our dealership in Edmonton, AB today!